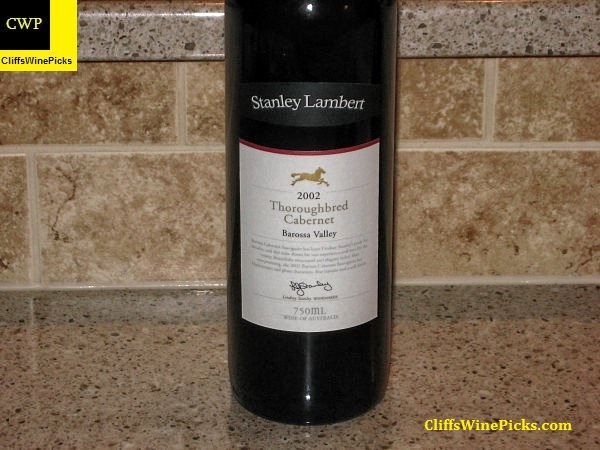 I first tasted this wine several years ago at a Cabernet Sauvignon tasting at a local wine store. Even though several of the wines being served were considerably more expensive, this one was the star. I bought several bottles at the event and more as time passed. All together I bought about a case and a half of this wine. This, unfortunately, is my last bottle. This has 14.0% alcohol by volume and the bottle is sealed with an agglomerated cork. Morgan Twain-Peterson has followed the lead of Carlisle’s Mike Officer, make very good fines from old vines and sell them for great prices. I’m not sure of the status of Bedrock’s mailing list, but I recommend either getting on the list or accepting a spot on their waiting list. 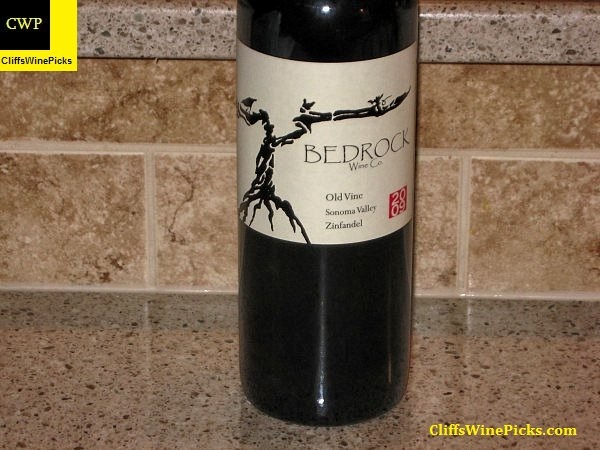 Besides very good red wines, Bedrock produces some truly outstanding white wines. 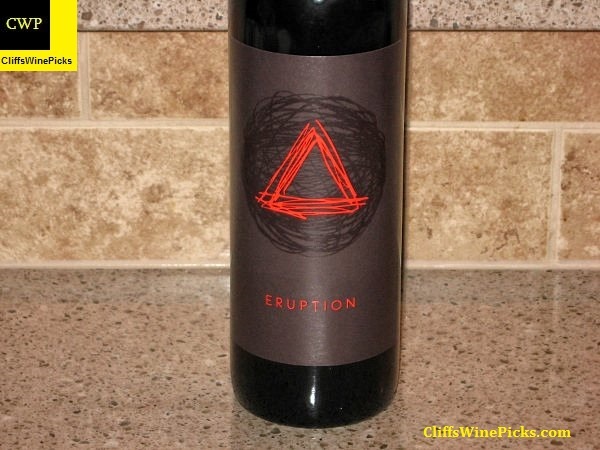 This is a blend of 37% Syrah, 30% Mourvedre, 14% Grenache, 10% Petite Sirah and 9% Malbec, from the High Valley AVA in the eastern part of Lake County in California. The wine has 14.8% alcohol and the bottle is sealed with a natural cork. Brassfield Estate Winery & Vineyard is located in the western section of High Valley at High Serenity Ranch on a truly distinctive and remarkable winegrowing property. Our valley floor vineyards sit at 1800 ft elevation. The higher vineyard blocks rise to nearly 3000 ft. The temperatures of some parts of this unique vineyard are some of the coldest in CA, giving Brassfield a heat summation equivalent to a Region 3 or less in some vintages. In 1973, Jerry Brassfield purchased the original 1,600 acres here as a cattle ranch and wildlife reserve. Over the next three decades Jerry acquired additional property. Today, the Lake County estate includes 2,500 acres across both the eastern and the western sections of High Valley, as well as the Round Mountain Volcano. The Vineyards were investigated for their potential to produce world-class estate-grown wines in 1998. Vineyard planting began in 2001. As the vineyards matured, the winery has grown with a state-of-the-art winemaking facility. This is a “luxury cuvee” comprised of 50% Merlot grown on rich clay soil, 40% Cabernet Sauvignon grown on ancient alluvial sand and 10% Syrah grown on mineral rich stony soils. All the vineyards are estate owned. 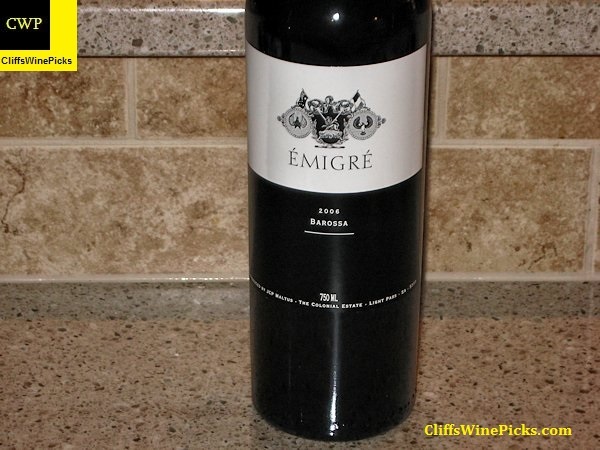 Emigré is a blend of Grenache, Shiraz, Mourvedre, Cabernet Sauvignon, Carignan, and Muscadelle harvested from four vineyards, two in cool climates, Greenock and Eden Valley, and the other two from the northern Barossa Valley. Wines from The Colonial Estate don’t come cheap. Their lower end wines start at $30. 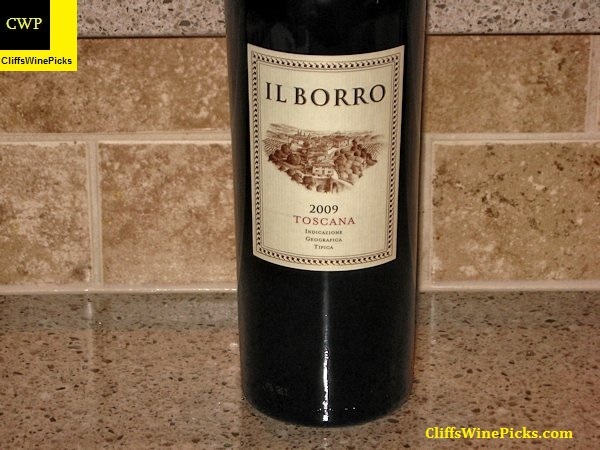 This is one of their higher end wines and has a release price around $90. I’ve been lucky in the past (and this time too) to find their wines either on a clearance sale or via Garagiste for under $30. If you ever have the chance to get a bottle of this wine or either the Exile Cabernet or Shiraz at a great price, grab a bottle, it will bring a smile to your face. This wine has 14.5% alcohol and is closed with a natural cork. The Colonial Estate is a range of limited-production Australian wines with an old world approach. The fruit is hand picked and carefully selected; the reds receive cold pre-maceration, fermentation, pressing and maceration on skins prior to ageing in French oak; whilst the whites get whole-bunch pressing, lees stirring and are fermented with naturally occurring yeasts. The 2006 The Colonial Estate Emigré sounds like it is off the charts! Will have to add this to my “Wine” Bucket list. 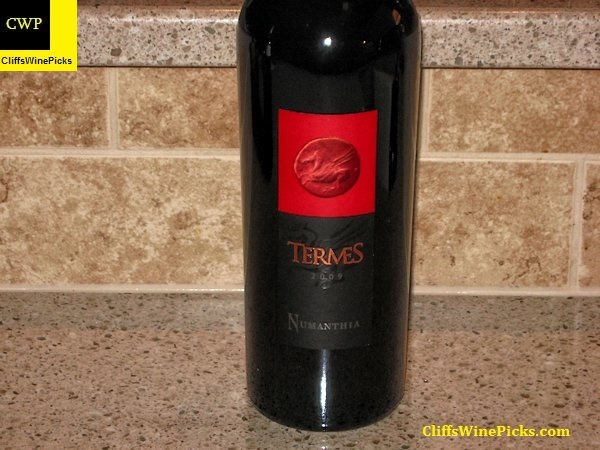 I carry the 2009 Bodega Numanthia Termes Toro Terms at my wine bar – good to see your review & tasting notes on this one!